Then what would paint a thousand blogposts? This is a milestone season at the Archer Pelican: 1,000 posts as of today; 3,000 comments as of last week; five years as of two months ago; and 300,000 page views as of next week. 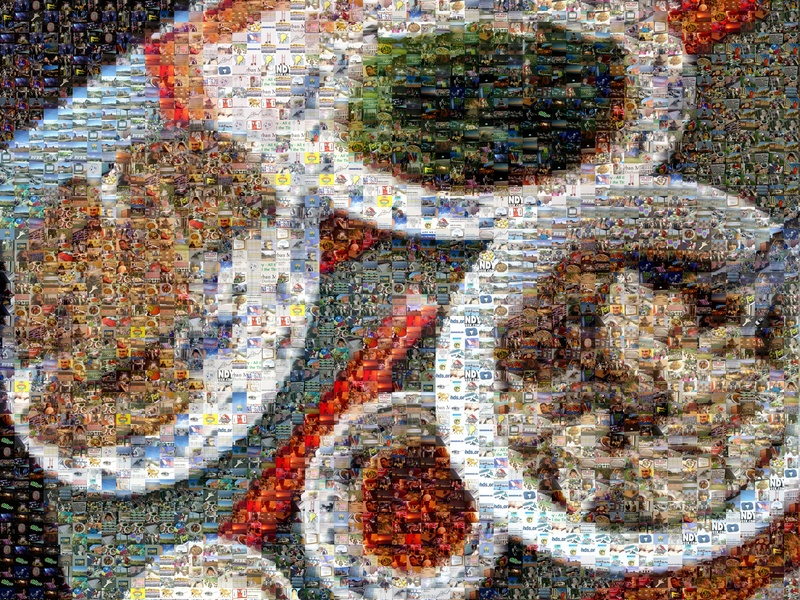 To mark the moment: a mosaic of one of my weekend lunches at the China Palace in Durham. The tiles are from the pool of ~550 that I've posted at the Archer Pelican over the last five years and two months, with the image created by Andrea Mosaic. It was such a treat to explore the high-resolution file after Andrea Mosaic did its stuff. Friends, meals, travels... pictures of things pulled off the 'net to illustrate some story... and maybe even pictures of you! As I zoomed and panned through the detail, I enjoyed each picture twice -- first to recall the picture-taking, and second to recall the blog-writing. I could not help but sigh. For as much as the Archer Pelican has been my own little magazine of and for myself... well, let's just say it was nice to reminisce. At this sentimental marker, I want to say "thank you" for dropping by. I thank you for being my friends on-line and in-person, and I thank you for being you. Come back soon, okay? Also FYI: I used a free utility to pull every photo posted at the Archer Pelican. I'd recommend it, except for (a) I can't remember which program I used and (b) it dropped them into waaaay too many folders (though that was probably because TypePad uses so many folders.). I'll bet you can find better. Depending on which doctor you talk with, I have moderate ADHD and moderate GAD. And yes -- they interfere with my ability to get work done. When I have a lot of work to do, I can pretty much count on needing to work nights as well as days to finish what "normal" people can do during a regular nine to five. (2) Duke vs. Wake at Cameron. So anyway -- I'm going to make sure I use tonight well and get some good work done. It will make me feel better about starting the week strong, and less badly about missing these great games with fun and generous friends.